"Early in Kedi, Ceyda Torun’s splendidly graceful and quietly magical documentary about the multifaceted feline population of Istanbul, a human inhabitant of the city notes: 'Dogs think people are God, but cats don’t. Cats know that people act as middlemen to God’s will. They’re not ungrateful. They just know better.' All of which might explain why so many of the movie’s four-legged subjects come across not as feral orphans who rely on the kindness of strangers, but rather as slumming royals who occasionally deign to interact with two-legged acolytes. 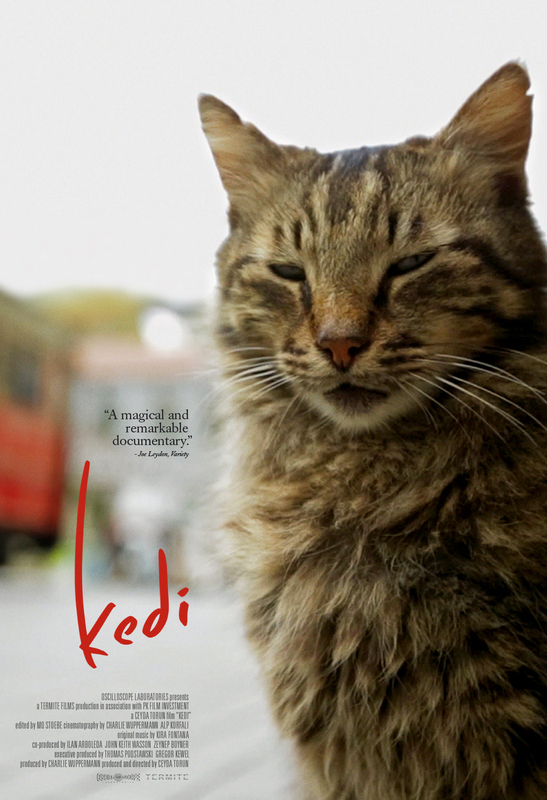 "Trust me: Kedi will make you a believer." Thanks to Oscilloscope Laboratories, which proudly bills itself as the distributor "of the best in American independent, foreign, documentary, and cat films," Kedi is slated to start prowling in North American theaters February 10. Here is the trailer. Very useful post. I really appreciate your job. keep it up. It was really worthy to read your blog post. Friends here is a website named BMovies where you can Watch Movies Online Free, it's really a wonderful site.